Our Office | Rabo Chiropractic Center: Chico, California: (530) 846-6262 : Get rid of back pain and neck pain. Dr. Rabo graduated from Life Chiropractic College West in Northern California. She has been in private practice since 2005. 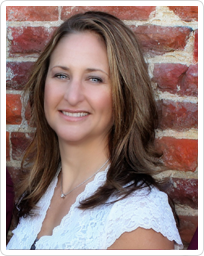 Her passion is to help others live the lifestyle they desire through natural health with natural chiropractic care, nutritional and weight loss coaching, and postural rehabilitation training. Rabo Health and Wellness is a family practice, seeing infants, young children and youth athletes, to the weekend warriors and mature, yet young at heart. Doctor Rabo has continued educational training in infant adjusting, sports rehabilitation, and functional nutrition. 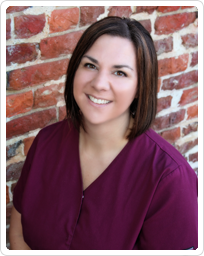 Mikelle has been a chiropractic assistant since 2001, and absolutely loves what she does! It shows in her work on a daily basis with patients. Chiropractic has not only improved her health, but her family's as well. She has two grown sons; Dylan and Dustin, and a teenage daughter, Veronica. They love the outdoors, the beach, singing, music, church, missions, and just plain old having fun! We are here to provide exceptional service and care to our patients. We continue to bring new information and technology to the office for our patients. We provide a combination of non-invasive health and wellness services to help you and your family experience lasting pain relief, and to achieve better health, now and in the future. Should you have any further questions or would like to make an appointment please call our office at (530) 846-6262.